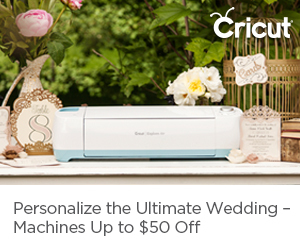 If you are considering buying a cutting machine for making crafts, cards, t-shirt designs, and more, then you’ve been debating the question, is a Cricut worth the money? 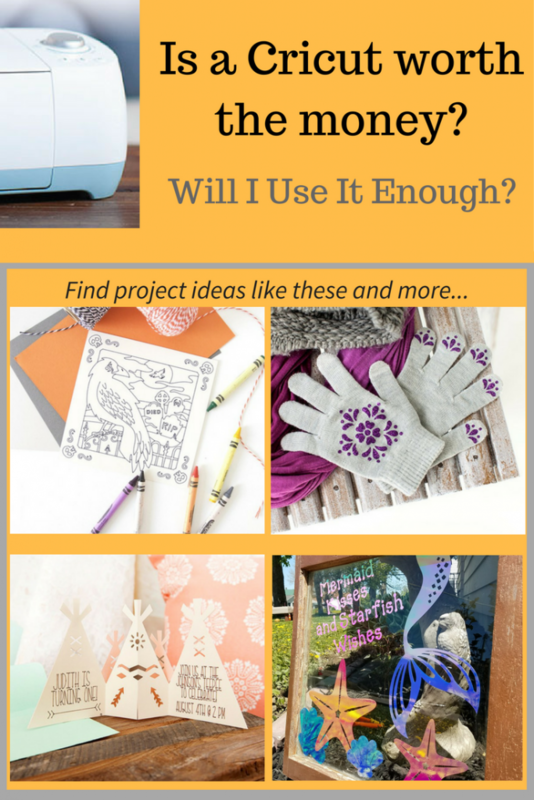 Is A Cricut Worth The Money? To answer that question for myself, I can easily say yes. 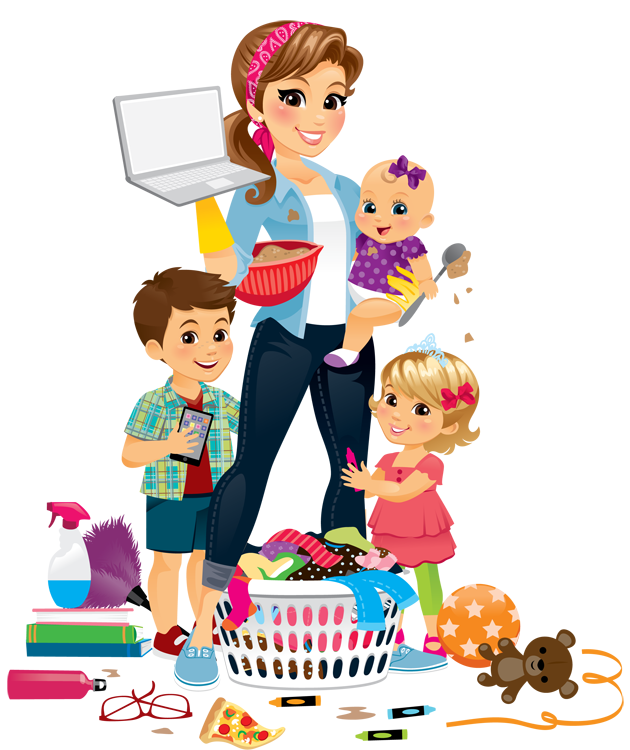 I use my machine every month simply for projects around the house. I don’t sell any of my crafts on Etsy or anything like that, I just use my machine to make things I like instead of buying them for ten times the price! Find more project ideas and inspiration here. 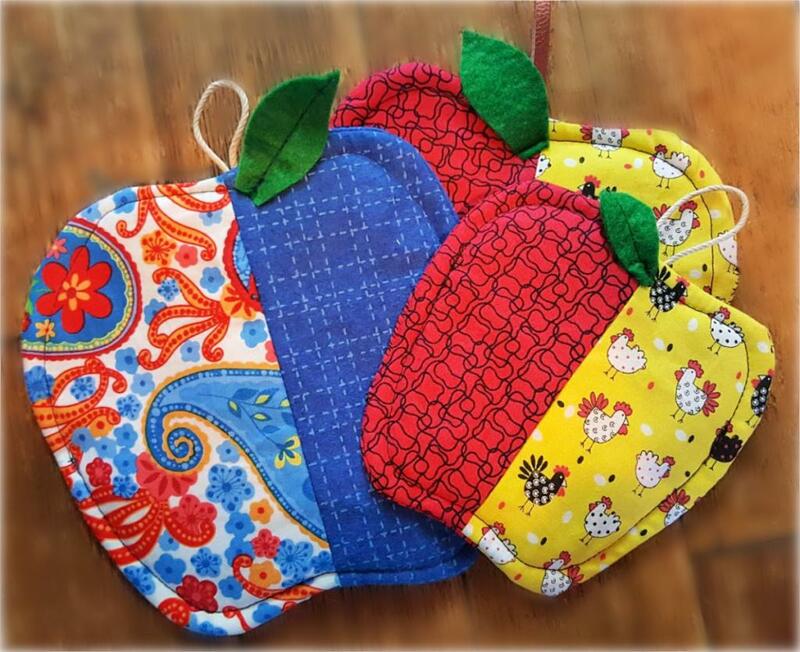 Will you be making crafts/products that you will be selling? Will you be making home decor items instead of buying things for your house? Will you be designing your own t-shirts or other clothing? 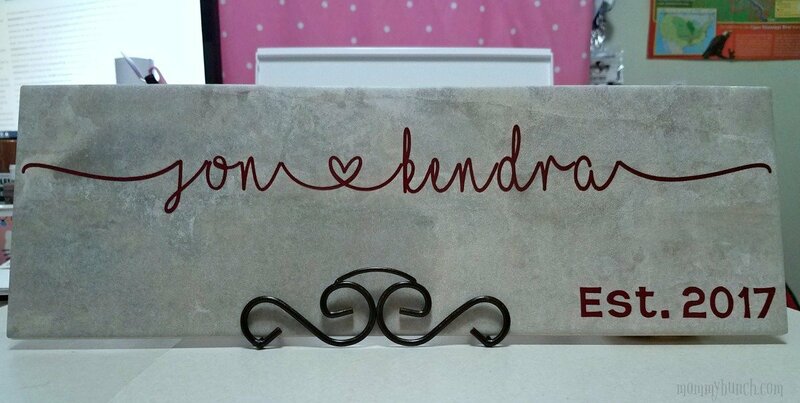 Will you be making custom gifts for friends and family instead of buying gifts? Will you be making your own greeting cards? If you can answer yes to even one of the above questions, then a Cricut is probably going to pay off in the long run. 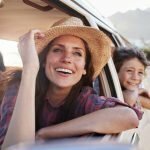 I’ve done all of the mentioned items (except sell my products), and it has saved me a ton of money by making my own things versus buying them at a very marked up price in a store. 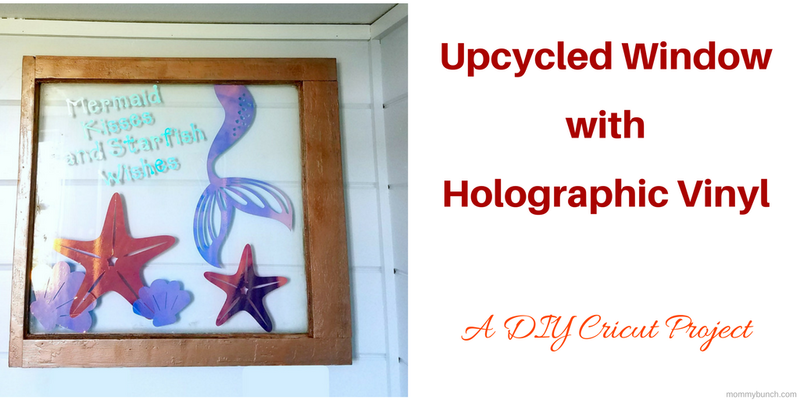 As an example of a custom decor piece for our home, here is a quick tutorial on a piece I made for my kids’ bathroom. If you are new to using a Cricut, check out my Cricut Tutorial For Beginners to get started, then come on back and attempt this one! 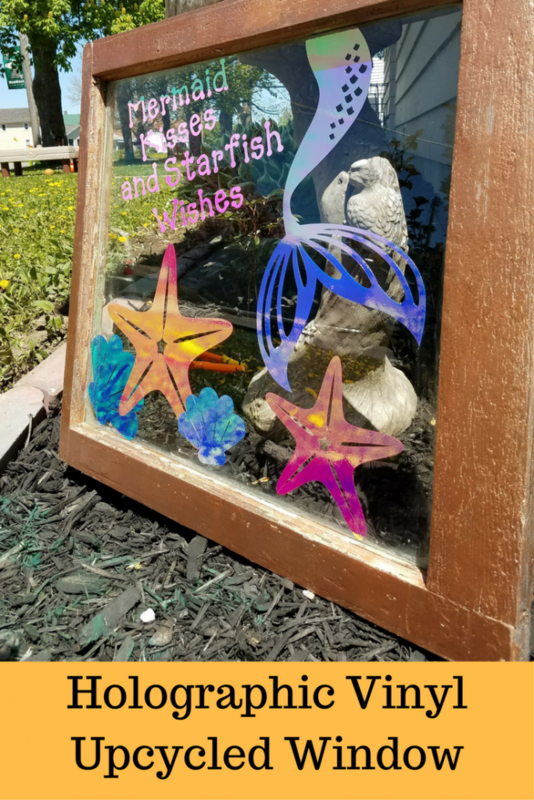 For this project, I picked up an old window at our local Habitat for Humanity ReStore for only $5.00 – a bargain! 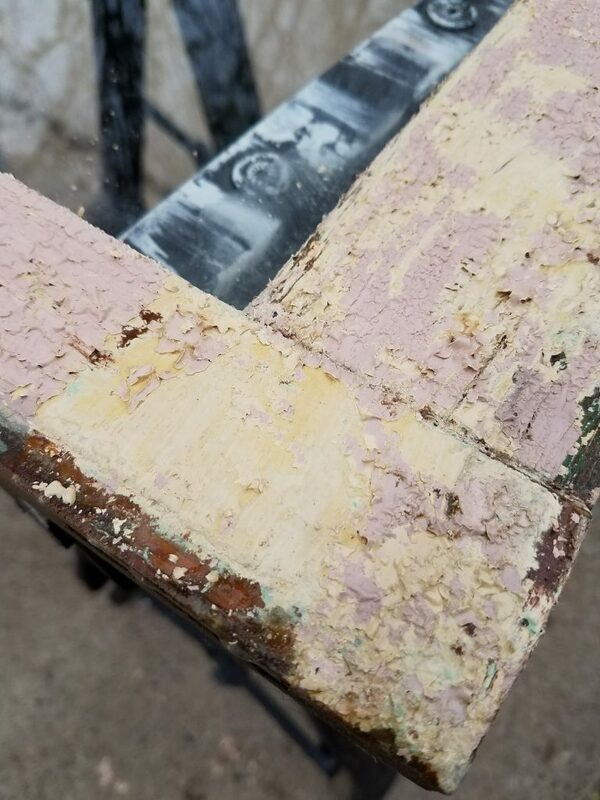 It was in rough shape with peeling paint and wood that was splintering off. There was a lot of silicone on the window as well. To prep the window I used some paint thinner to get off as much of the old paint as I could. This does take a bit of patience and time. Be sure to follow the directions on the can of paint thinner precisely. As you can see, my window had more than one layer of paint so I had to do this in stages. After scraping off as much paint as I could, I sanded everything to be smooth so I could repaint with a new color. I could have gone over with another coat of thinner first and really got off all the old paint, but I rather liked the “old look” and didn’t want to quite get rid of everything. 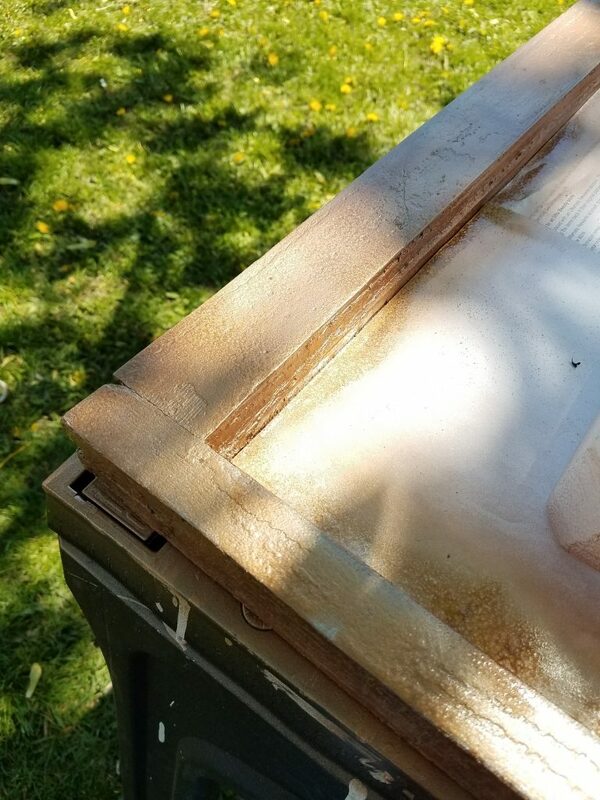 Once the window was completely sanded and washed down a bit, I covered the glass and spray painted a gold color (only color I had on hand and didn’t feel like a trip to the store). 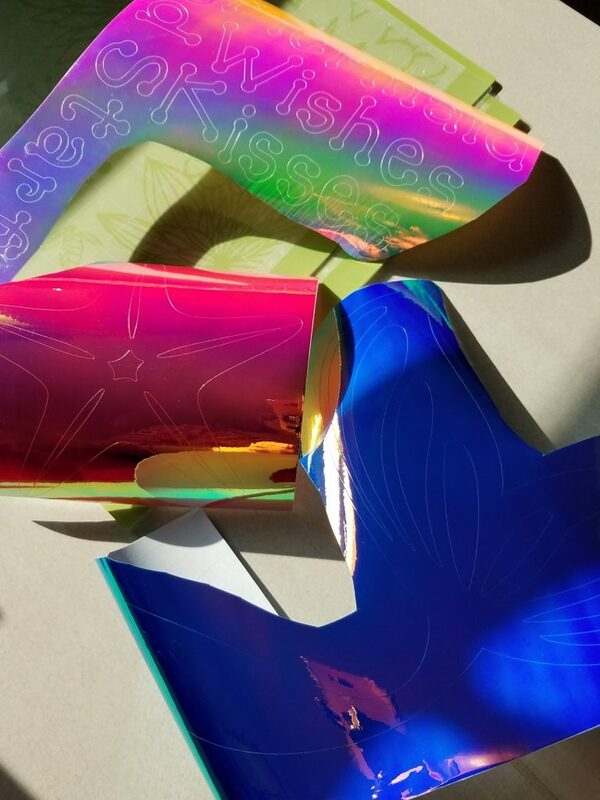 Then the fun….. holographic vinyl! 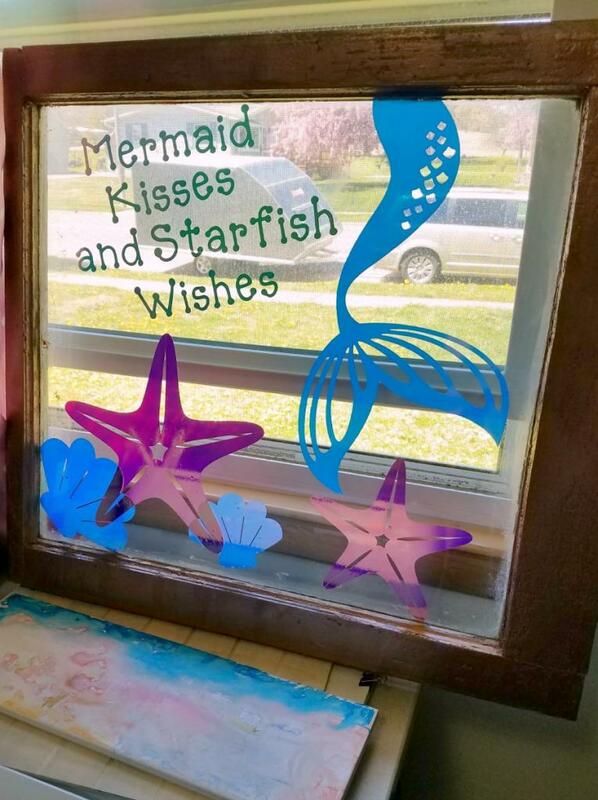 I took some mermaid, starfish, and seashell designs right from Design Space and just sized them to be appropriate for my window size. I also used the text feature for a cute little saying to go along with my sea creatures. To see how to use all the features in Design Space, like editing text, adjusting images, hiding layers, etc., head over to my Cricut category and browse lots of useful tutorials there. Once the design was how I wanted it, I cut the vinyl out and placed each piece individually onto the glass. This is where that rose tool set comes in handy for weeding and transferring the vinyl! 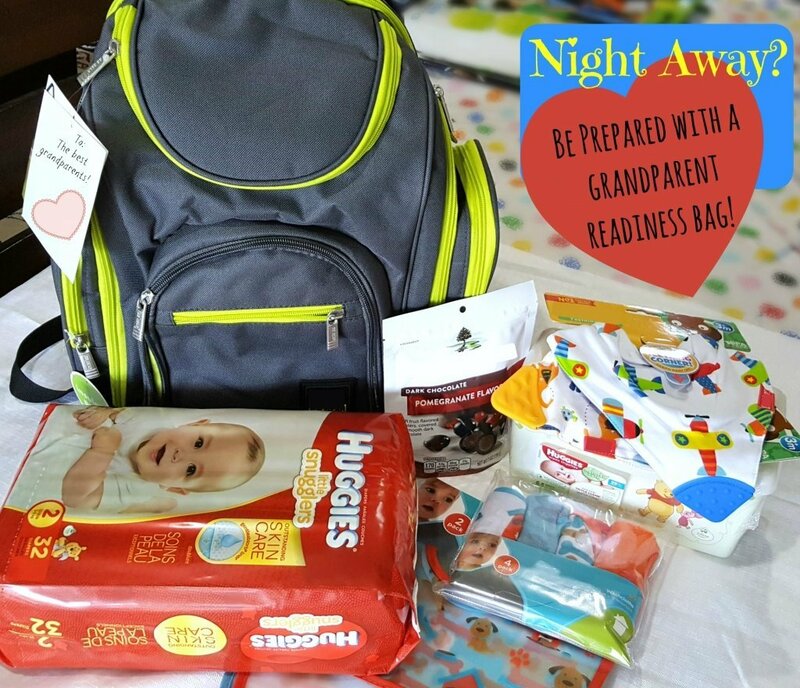 This project was the first time I took mine out of the package – isn’t it adorable! All put together. Doesn’t it look great in the light?! 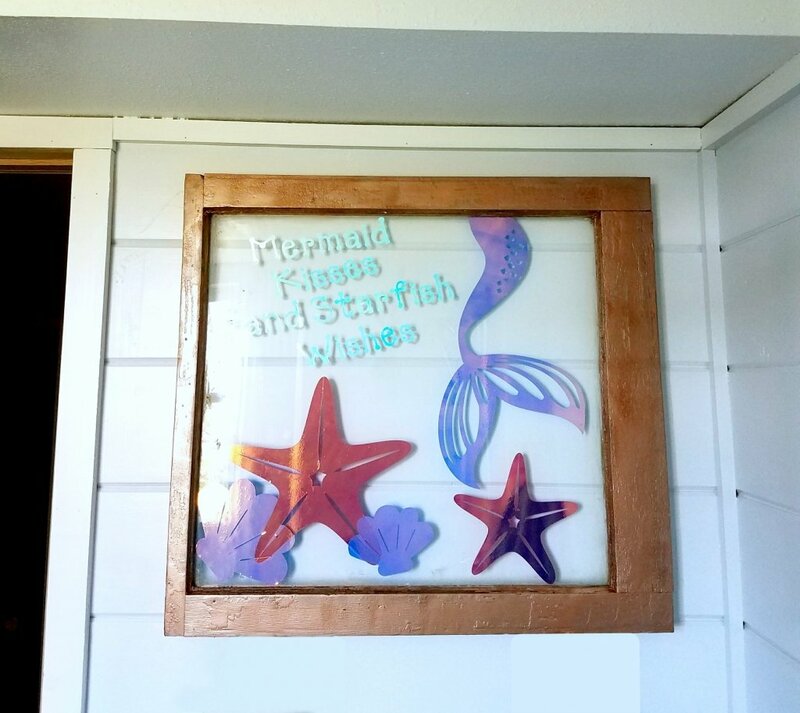 The final product looks great, and it goes perfectly with my kids’ beach themed bathroom that we had just finished remodeling! I now have a great piece of decor that I spent almost nothing on! 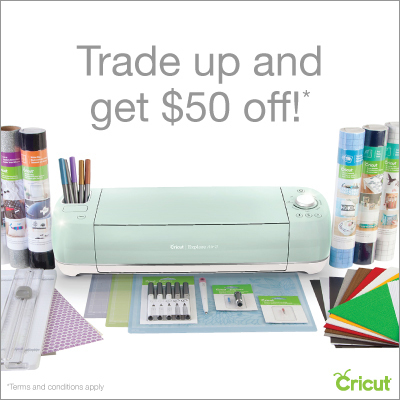 Is a Cricut worth the money? 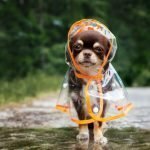 I’d like to think so! 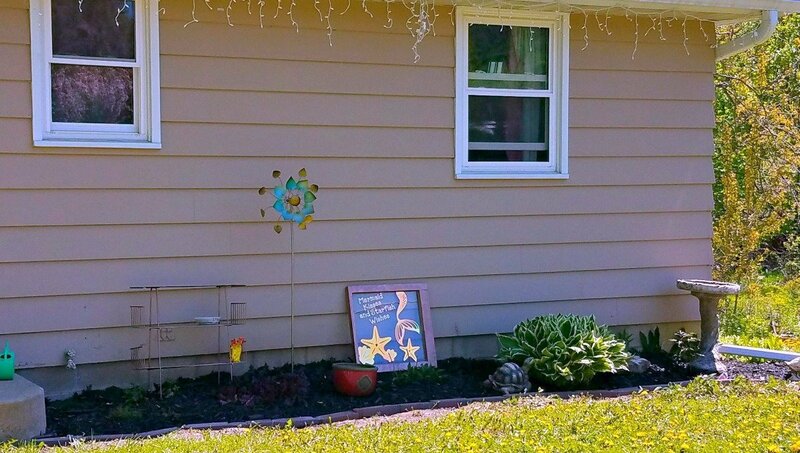 I ended up liking how this turned out so much I also thought it would look great in my flower beds. I’ll be making another to keep there permanently. I really love that when you walk by at sunset the Cricut holographic vinyl just bursts out color! One of the easiest things to use is cardstock. Grab your favorite designs and get cutting with these simple ideas. Any of the designs linked below are just some of the example projects, to search for an easy project for yourself, simply head over to Design Space and see what is available! I love making my own cards. Adding a personal touch just makes it mean that much more for the recipient, and with a bit of cardstock, your Cricut, and some of the pre-made designs in Design Space, you can have your own custom cards simply and easily! 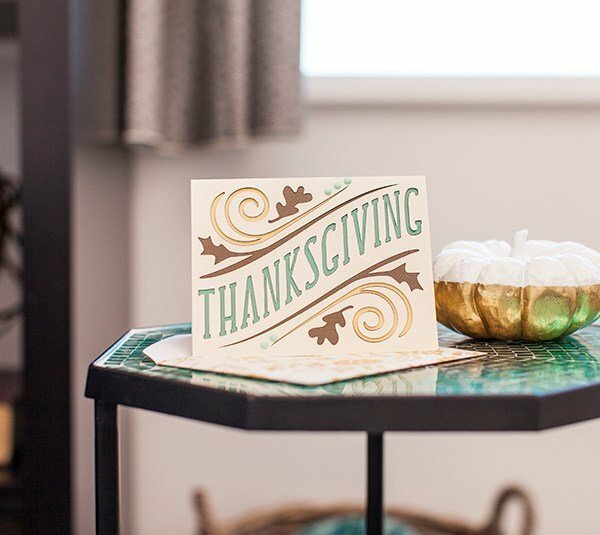 This Thanksgiving Card is super easy to make, and the pattern is already made for you so you simply need to follow the instructions right in Design Space and cut! Give your invites a personal touch by designing them yourself! 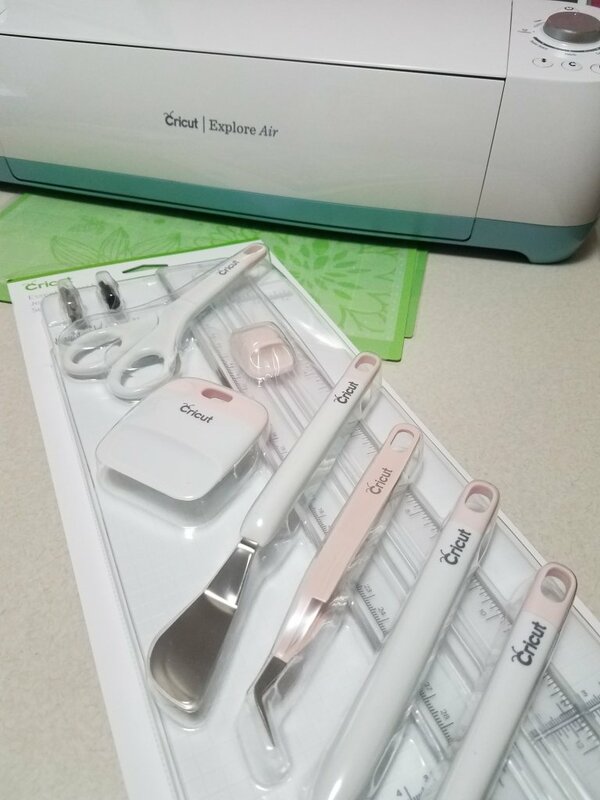 With the Cricut Explore Air you can not only cut out the design, but you can write on the invitations in your preferred font right from the machine as well! 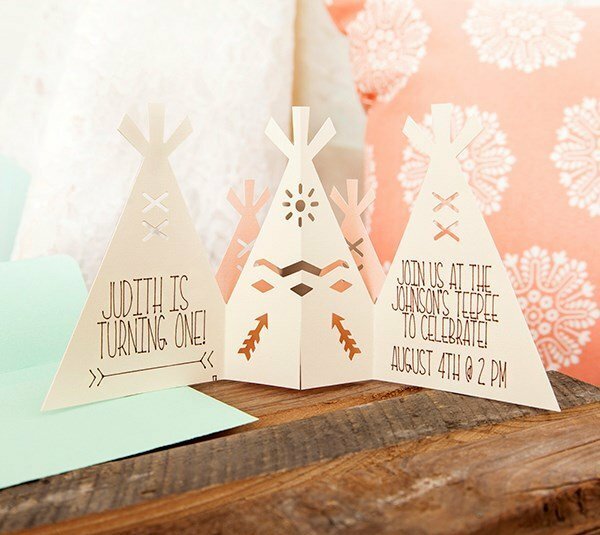 This easy Teepee Design birthday invitation comes with simple to follow instructions right in Design Space. 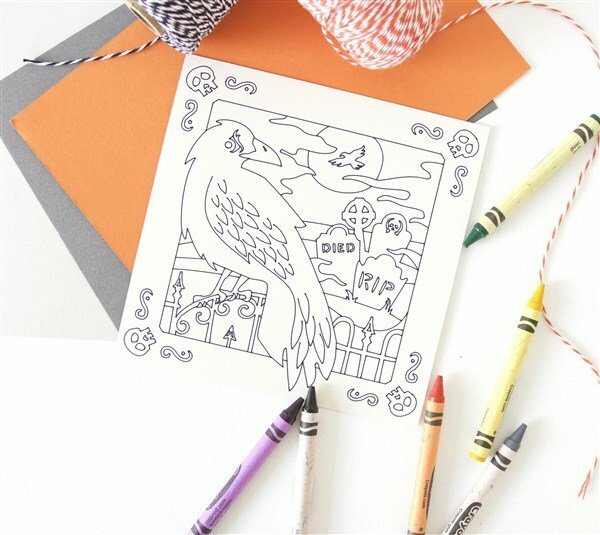 Want to make your own fun coloring pages? 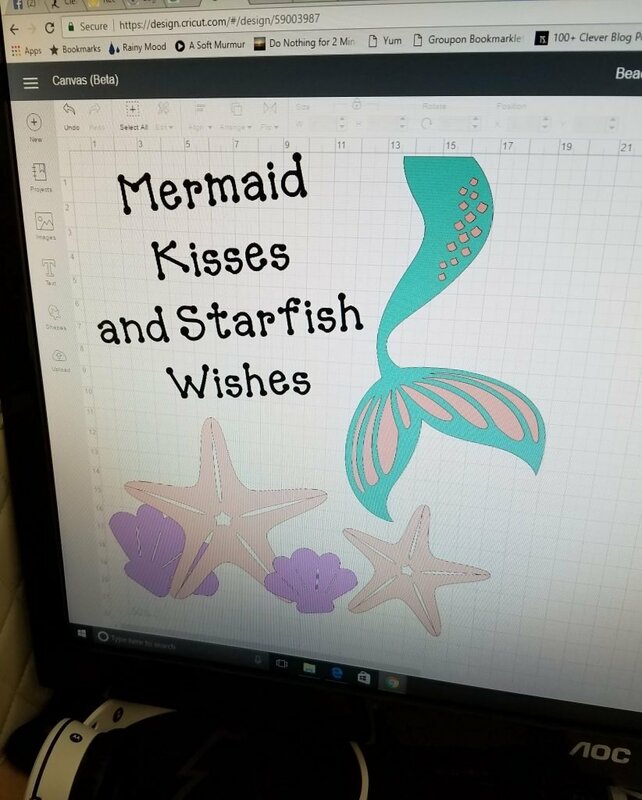 It is so easy with the Cricut pens and Explore Air! 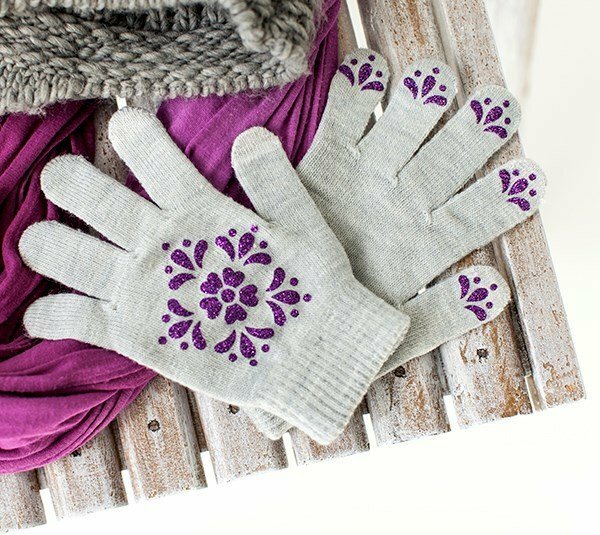 Start with something simple, like these one color flourishes that take bland winter gloves and turns them into a fashion accessory! After you’ve mastered these, move on to more colors and layers. 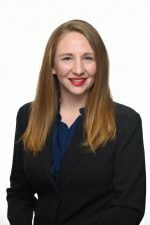 Party Games, Decor, and More! 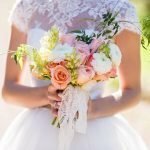 Want your wedding and/or party to stand out? 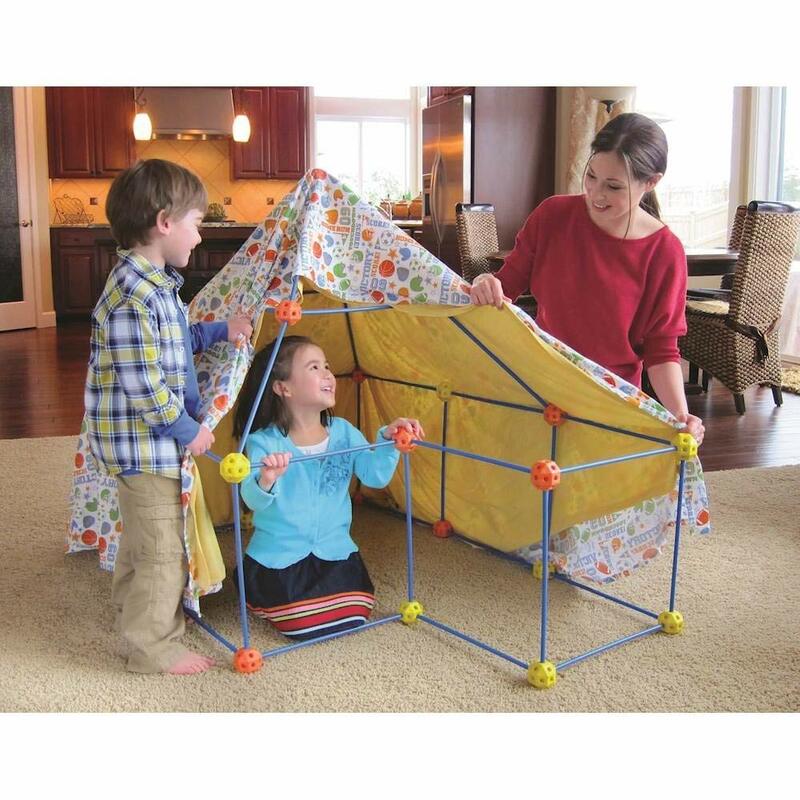 Try making some fun games and decor with the easy to follow instructions in Design Space. 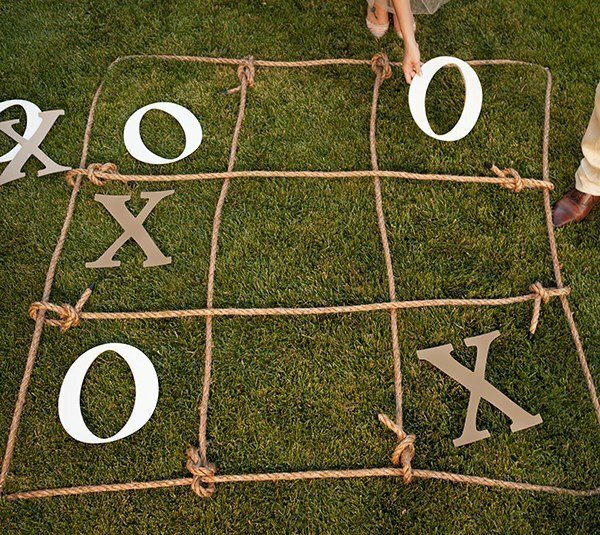 This Hopeless Romantic Tic Tac Toe game is really easy to make and so much fun to play at a party! 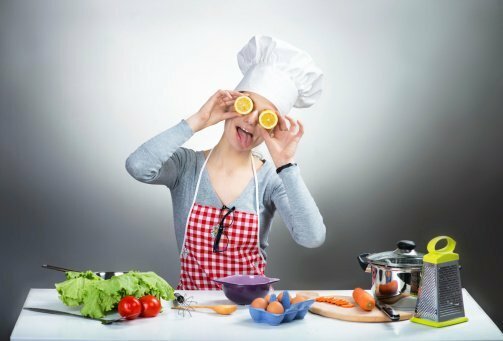 These are just a few ideas to help get you started, but there is so much more to be made. You can see a full list of fun ready to make projects right in Design Space or start designing your own project. The possibilities are endless!